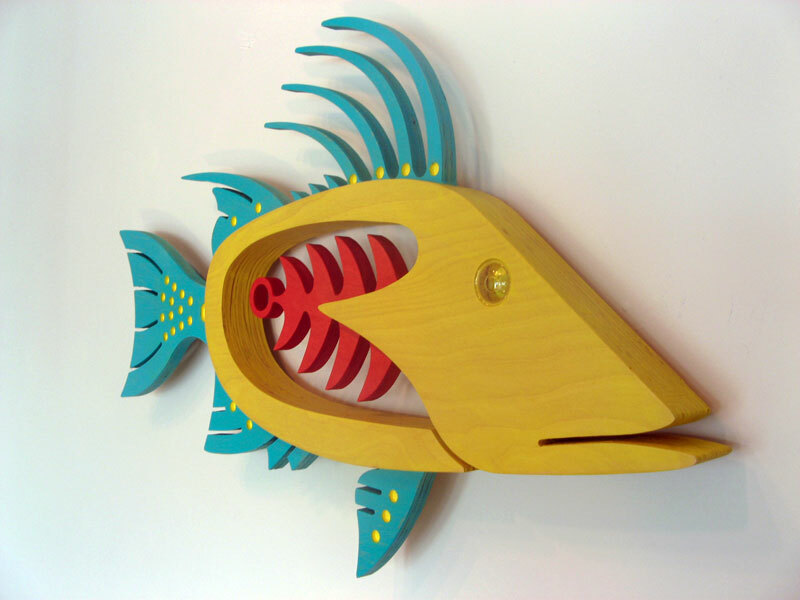 Mark Gottschalk has a bachelor of Fine Arts degree from Minneapolis College of Art and Design, where he worked mostly in three-dimensional design. 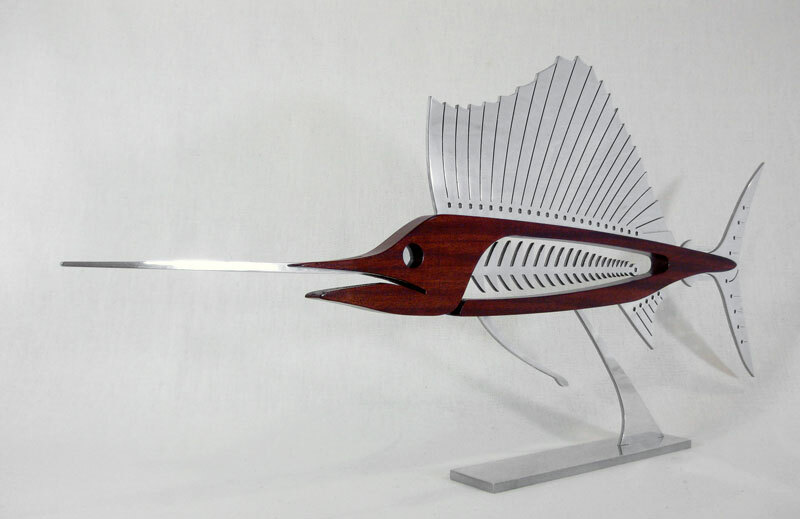 He has done various forms of art over the years but focuses mostly on sculpture. 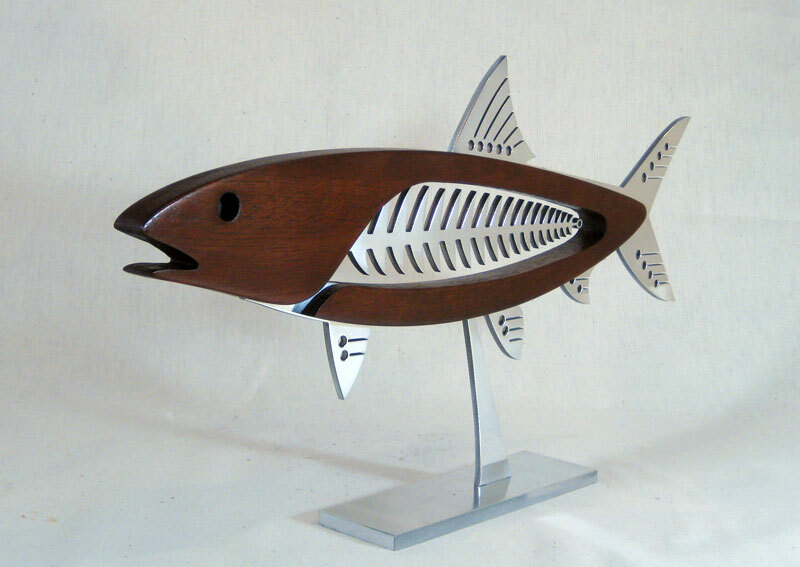 He was inspired to make his current fish series about three years ago due his lifelong interest in fishing….. from bass fishing in Minnesota, to fly fishing in the Rockies, to bone fishing in the Bahamas. 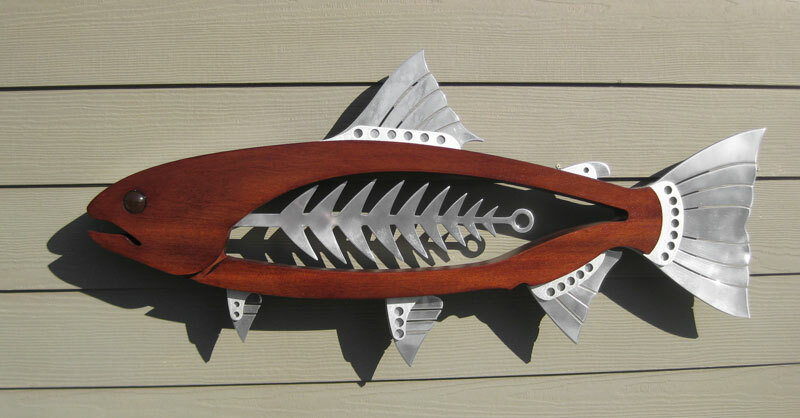 Mark prefers to do contemporary interpretations of fish. 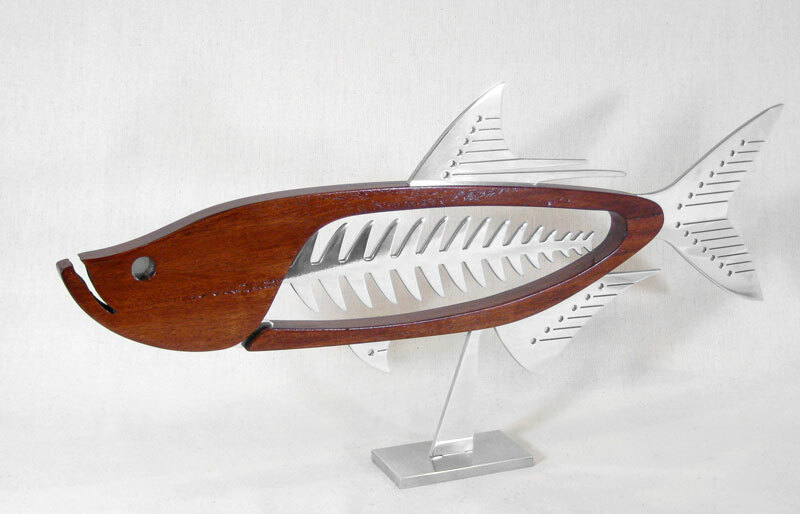 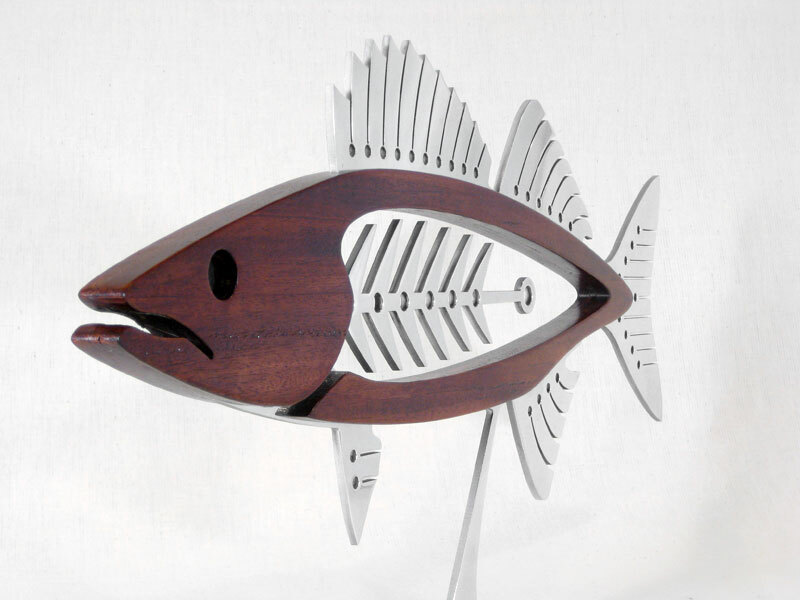 He currently make 22 varieties of fish, from dyed-wood pieces to mahogany metal pieces. 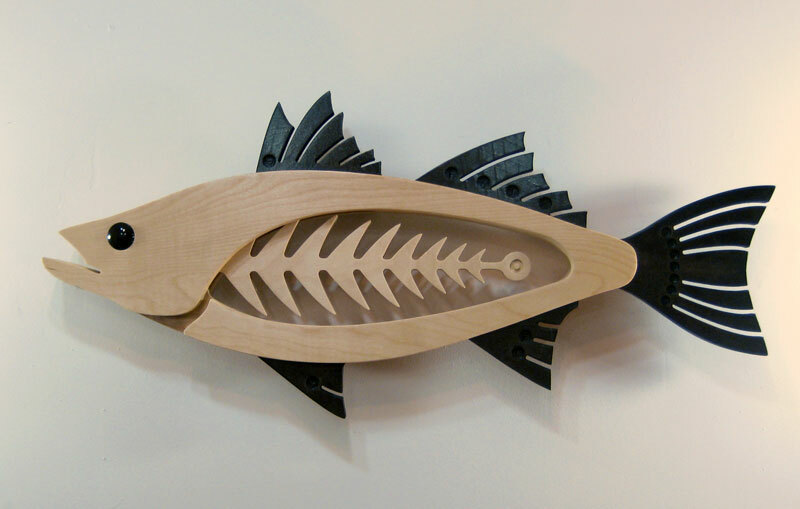 The free-standing and wall pieces range in size from 20” to 6’. 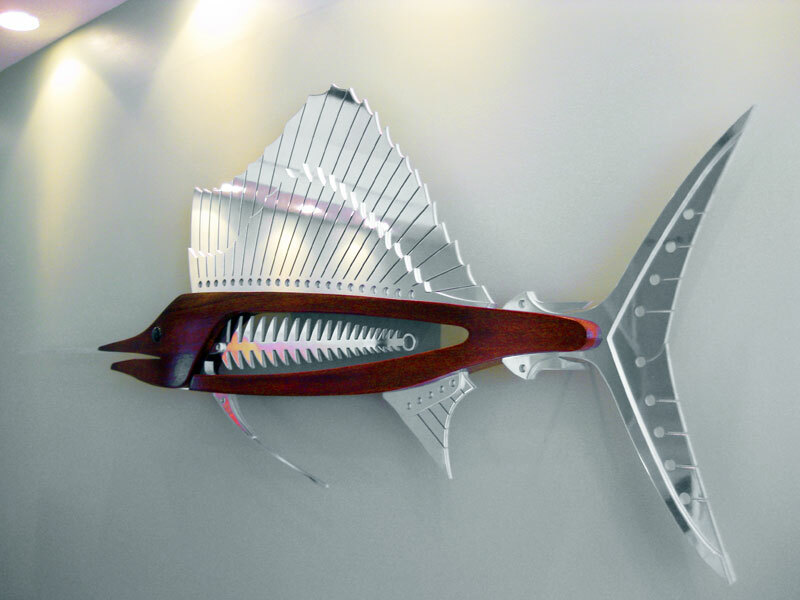 His work can be found in homes and offices around the world. 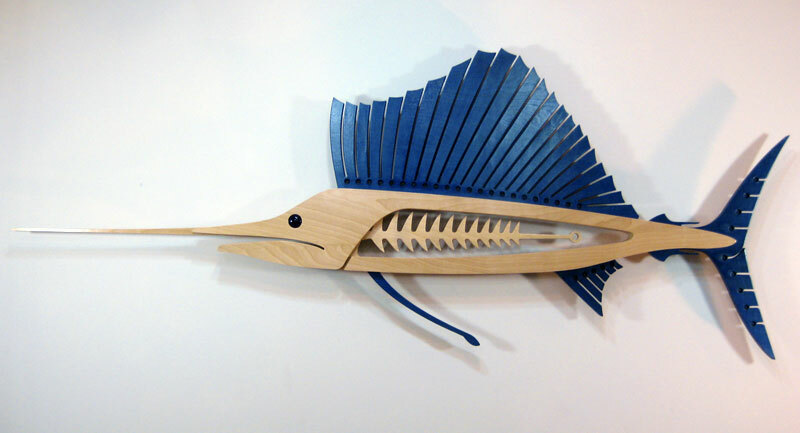 Mark resides in Eden Prairie, MN.